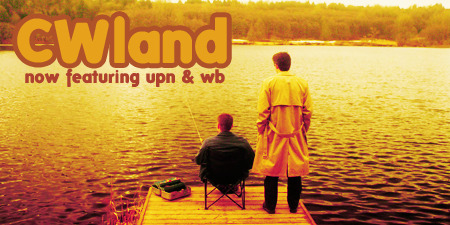 cw_land is an interactive challenge community dedicated to shows from the CW Network, including some from the WB and UPN. The three teams are BAMF, GQMF, and HBIC. I'm the mod of BAMF. We are awesome, come join! And my team gets points if you mention my username when you sign up, so don't forget that!